Day by Day Homesteading: The Art of Creating Resiliency, One Day at a Time...: Can’t Wait Until Gardening Season? Here are 10 Great Resources to Get You Started! 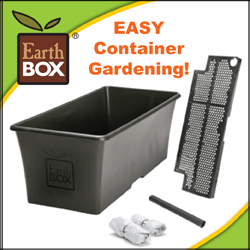 Can’t Wait Until Gardening Season? Here are 10 Great Resources to Get You Started! I admit that even though it is still bitterly cold where I live, I have been dreaming of gardening again. Maybe it’s the longer days with more sunlight. Maybe it’s the garden supplies and the seeds that I am starting to see in stores, or my seed catalogs calling my name on my desk. Maybe it’s the microgreens that I started growing about a week ago in front of my living room window. Or perhaps it’s merely due to the fact that I am just getting tired of the cold and dreary weather of winter. Whatever the reason, I am quite ready for Spring to arrive. It will still be awhile before I can actually get things growing in my garden, probably about 2½-3 months from now (I envy you, Warm-Climate-Dwellers! 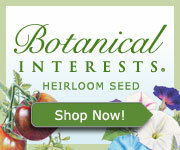 ), but I can start planning and preparing for the coming garden season now. As I was thinking about springtime and gardening, I thought that I would share with you some great resources to help you start planning for your garden too. I advocate organic and ecological gardening methods here at Day by Day Homesteading, so the following resources have that focus. 1. Best Tips for Starting Seeds Indoors from Mother Earth News- This is a great article to learn the basics of seed starting, and I even learned a few new tips myself from reading it. To learn more about seed starting, you can also read my post on seed starting that I wrote last February. 2. Healthy Soil- I cannot stress enough that healthy soil is so much more than just a place to hold your plants. Healthy soil is an entire complex ecosystem! If you don’t have healthy living soil, you won’t have very healthy plants. Healthy soil is good for the plants themselves and for you when you eat those healthy plants. Restoring Your Soil: Tips to Make Your Garden Greener from Gaiam Life gives many good tips on how to improve your soil for a healthy and more productive garden. 3. Sheet Mulching (also known as “Lasagna Gardening”)- Sheet mulching is a great way to build healthy soil quickly using layers of different organic materials. To see great examples of how easy it is to use this method, watch these videos. A tip: If you have a choice to use hay or straw as one of your layers, I recommend using straw instead of hay. The difference between these is that hay contains seeds, which you don’t want in whatever mulch you will be growing in. 4. No Dig Gardening- A good gardening method to dramatically reduce weeding, and increase soil fertility and productivity. 5. Straw Bale Gardening- This gardening method can be used to grow plants just about anywhere- even on rooftops! I personally used this innovative gardening technique to grow my very first garden, and it worked beautifully! I highly recommend that if you would like to explore this gardening technique that you buy the book Straw Bale Gardens by author Joel Karsten to use as a reference. 6. Herb Spiral- permaculture (video)- I really love my herb spiral! With an herb spiral, you can grow many plants in a small space, and it allows you to take advantage of microclimates that exist within the spiral to grow a variety of plants that have different growing requirements. I especially enjoy growing herbs in mine, but you can certainly grow a variety of plants in an herb spiral, including lettuce and strawberries! One of the many great things about an herb spiral is that it can be constructed in less than a day. 7. Making a keyhole garden bed- Keyhole beds are nice because the design allows you to reach everything from either the center of your garden or from the outside, as well as reducing the amount of space that you would otherwise devote to paths. Many folks are even creating raised versions of these garden beds so that they don't need to bend over when they work in their garden or harvest. In Lesotho, they are building the raised bed versions to help families grow their own food despite the drought conditions that often occur there and to prevent soil erosion as they grow crops. Check out the keyhole bed that I created last year. 8. Hugelkultur- An interesting name, but a very cool concept for building a raised garden bed! The concept involves burying a pile of wood logs and then growing your plants on the sides and the top of that “mound.” The result is a raised garden bed that holds moisture extremely well, and creates a very productive growing space. This is something that I haven’t tried yet, but I have a tree in my backyard that was trimmed last fall (with all of the logs just sitting back by my garage right now), so I am thinking that this would be a perfect way to use at least some of that wood! 9. Small-Space Gardening- I am a firm believer that everyone can grow something, no matter how much space you have. Even growing microgreens, sprouts indoors or herbs in pots on your windowsill is still something that you don’t have to buy from the store and that you will know how it was grown. And, it will actually be fresh when you eat it, unlike most of the produce in grocery stores that was harvested days ago (if it’s even that fresh). I have a lot of interest in growing things in smaller spaces, since I don’t have the largest yard, but I am also interested in how we all can make our lives more sustainable wherever we live, including in urban areas. 10. Permaculture- Ah permaculture, how do I love thee? Permaculture is what helped bring me from a doom and gloom outlook to one where there is hope and empowerment to help change the world (although I still do have my moments of frustration with the status quo from time to time). Yes, it involves gardening techniques, such as many of those that I have described above, but it is also an entire design approach for living more in harmony with nature. Our world today is wrapped up in a lot of fear mongering, and many times, we are tempted to feel powerless to stop the horrible things that are happening. Permaculture offers many practical solutions to help us meet many of our challenges that we face in today’s world. To learn more, I highly encourage you to check out the permaculture link above, as well as the post that I wrote about Why Permaculture is Truly Awesome. Are you inspired yet? I can’t wait to start planting, can you?